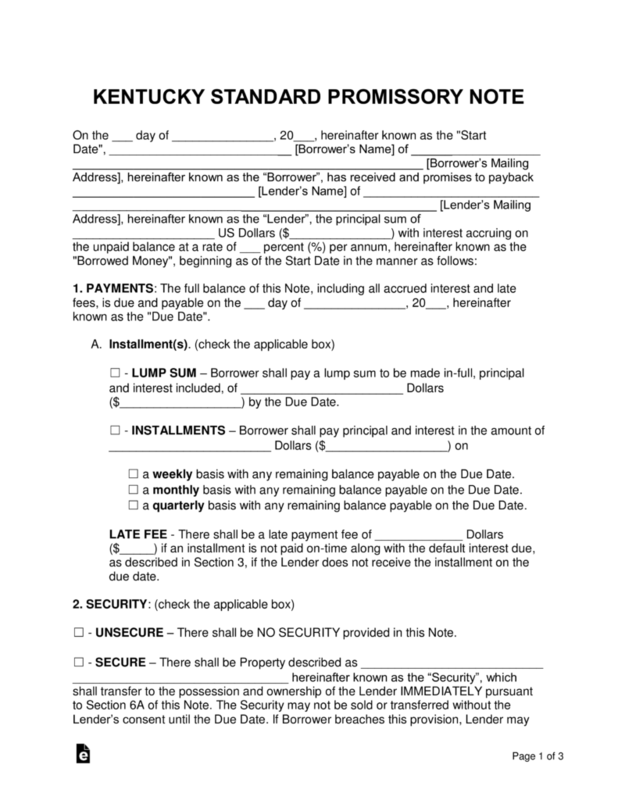 The Kentucky promissory note templates are used in situations where a lender borrow’s money to an individual (called a ‘borrower’) with the expectation that the original balance will be reimbursed with the addition of interest. For the note to be completed, both parties will need to come to terms on topics such as interest rates, late fees, and items that will be used as security. 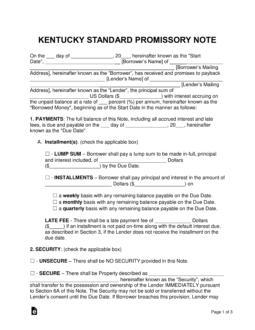 Secured Promissory Note – Includes security, which sets aside an item such as a home, vehicle, or boat that is given to the lender in the case of a default. The item chosen as security should be of equal monetary worth as the amount of money in the note. Unsecured Promissory Note – Does not include security. Because of this, the lender is at a far greater financial risk. To help prevent monetary loss, the lender should only lend to those with worthy credit and/or family and friends.